1. An arrest was made Monday in connection with the window smashing at Thrive, Fourth and Hampshire. We detailed the incident last week. I won't say much since it's early, but I would like to thank officer E.S. Cowick of the Quincy Police Department, and local property and business owners Mike Pigg and Terry Austin. This is a good example of the public coming together and helping law enforcement solve a crime. You hit one of us, you hit us all, and you'll get caught. The end. 2. 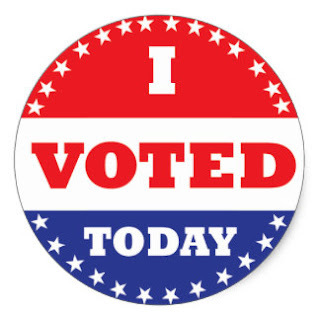 Get out and vote today. There is an important mayoral race to decide and a few other public service seats to fill. If you don't like the way things are going around here, you can make a difference at the polls, and you can educate yourself about the issues. Best of luck to all the candidates, and once again we are all really glad the election is almost over.